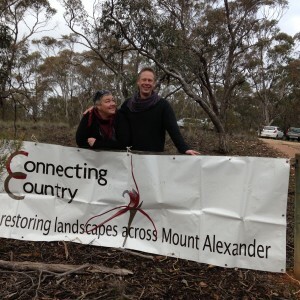 Connecting Country’s Woodland Bird Action Plan has identified eleven priority habitat zones in the Castlemaine region. These zones have been selected as they are strongholds for five very special woodland bird species. 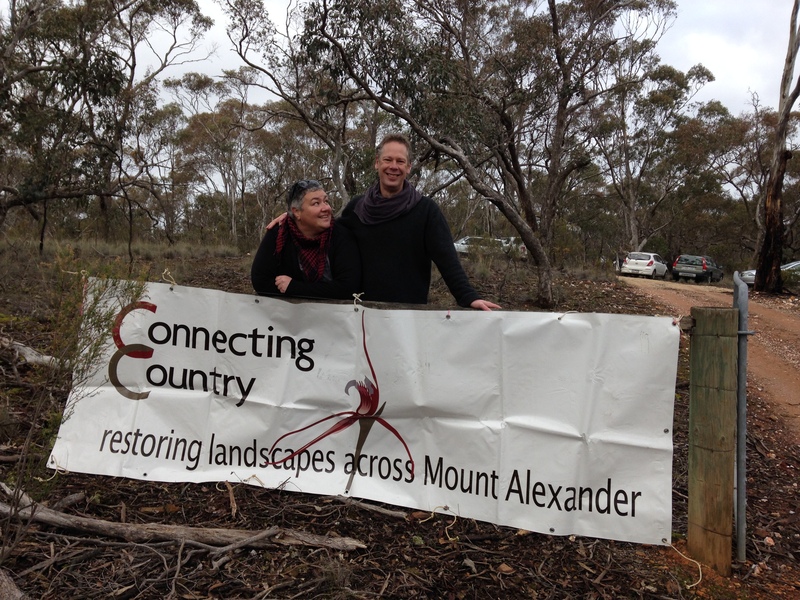 The Hooded Robin, Diamond Firetail, Brown Treecreeper, Jacky Winter and Painted Button-quail will benefit greatly from habitat enhancement and revegetation. Project coordinator Tanya Loos is carrying out a detailed analysis of each of these areas – a compendium of the biodiversity and social capital of these areas. This knowledge will coordinate restoration efforts, and hopefully assist in the application of future funding. But as no-one knows an area better than a local, Tanya is seeking interested individuals to get involved. Stewards for Woodland Birds is seeking two kinds of people – the community planning person, and the bird person. And some people may be both! Andrew Skeoch and Sarah Koschak’s stunning bush block in Strangways – a jewel in the crown in the Strangways priority habitat zone. Sit down with Tanya over a cuppa and a series of maps, and create a detailed snapshot of your local area. Come up with strategies for inspiring and informing other locals in woodland bird habitat restoration. Or a prospectus for future funding opportunities. Many of you have attended the bird monitoring workshops, with Tanya, Geoff Park, Chris Tzaros and others. Why not take on seasonal surveys of your local zone? Or become a mentor to budding birdwatchers in your neighbourhood. Check out the bird monitoring page here for bird surveying tips, data sheets and information on group sites. In March 2016 we launch the inaugural Feathered Five Festival – Connecting Country’s celebration of woodland birds and their habitat. The weekend of March 19-20 will have bird walks in search of the feathered five, and a celebration dinner and evening of talks and kids’ activities. 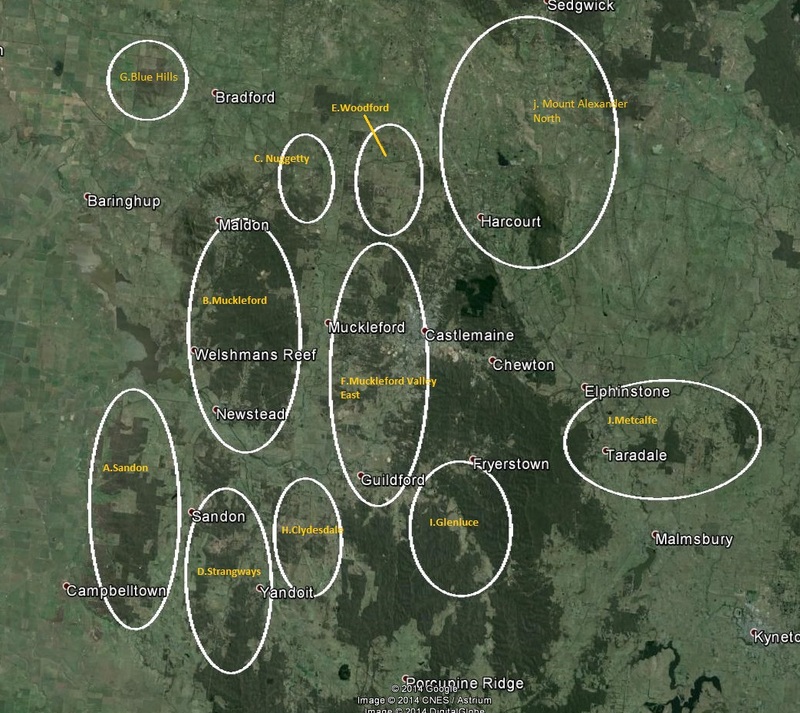 The eleven priority zones are best viewed in Google earth using a Google Earth kmz file, but the map below gives some indication of their extent. Email Tanya at tanya@connectingcountry.org.au for the file.